Hans-Jürgen Raabe, born in 1952, is a German who has been living and working abroad—as a journalist, publisher and manager—for many years. 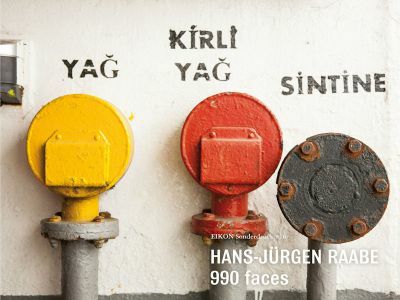 A student of the famous theatre photographer Erika Haendler-Krah, Kiel, Raabe, dedicated himself to the 990 faces project after a nearly 30-year break from photography and as a continuation of his previous book publications and exhibitions (e.g. Berlin Graffiti, 1982). Raabe’s passion and his photography is about ‘reality’—capturing life as it is, without the use of props, artificial lighting or photoshopping. His photographs are images of split-second experience captured on the spur of the moment, without any artifice, posing or make up—they are direct, unadorned snapshots of real people and real life—and are at the same time rich with poetry.